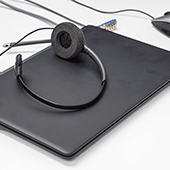 Include VoIP phones in your recovery plan | Whatever IT Takes. Real People, Real Service. If managing VoIP is too time-consuming and complex, call our professionals at Lanlogic today. We design, implement, and test a powerful, disaster-proof VoIP phone system to ensure your communications are always online.